The nursing demand is expected to increase until the year 2018. The demand is a result of the number of retirees within the nursing field. The number of retirees is currently greater than the number of eligible candidates to fill these positions. Therefore, the industry is experiencing a shortage of qualified nurses and medical teaching staff. To alleviate the shortage, many employers are offering the prospective employees signing bonuses and flexible work schedules. While the median income is not the highest, a nurse can expect a modest median income of $63,000. For those concerned with job security, prospective nurses can join the twenty-one percent of nurses that have already become members of a union. Because of the demand, however, nurses should expect a certain level of job security despite union affiliation. A prospective student may consider becoming a midwife, anesthetic, researcher, nurse practitioner, or a clinical nurse. Students interested in the nursing field are experiencing an increase in the number of scholarships offered in the field. Enrolling in a nursing program of study is encouraged because of the support that is available. Scholarships are awarded to nurses seeking to obtain graduate-level degrees. Several graduate-level scholarships are listed below. The Charlotte McGuire Scholarship Program (CMGSP) was established through the American Holistic Nurses Association. The scholarship program was designed to assist nurses who are committed to Holistic Medicine and are pursuing professional development in the field. Each year the Charlotte McGuire Scholarship program offers two scholarships based upon academic merit. The nurses must be pursuing a Master of Science in Nursing, a PhD in nursing, or Doctor of Nursing Science (DNSc). The deadline to apply for the scholarship is March 15 annually. The awards will be presented at an annual conference held in June of each year. Residents of West Virginia interested in obtaining a graduate degree in nursing at an accredited college or university may find assistance through The Greater Kanawha Valley Foundation Scholarship Program. Each year the organization awards several scholarships to West Virginia residents. Preference is given to applicants who demonstrate a financial need. Each award is $350. The deadline is January 2 annually. The Danish Sisterhood of America seeks to offer a scholarship to a graduate student pursuing a degree in nursing. To become eligible for the scholarship, the applicant must be a member of the Danish Sisterhood of America. The goal of the program is designed to preserve the Danish heritage. The award amount is $850, and the minimum Grade Point Average is 3.0. The deadline to submit the application is February 28 annually. The Suburban Hospital Foundation created a scholarship for graduate-level studies in the nursing field. The recipients of the award will become Casey Scholars upon graduation. Casey Scholars are required to work in the Suburban Hospital Healthcare System to assist the hospital in fulfilling their open nursing positions. The Suburban Hospital Healthcare System is located in Bethesda, Maryland. A 3.0 GPA is required to become eligible for the scholarship. The application deadline is April 30 annually. Each recipient will receive an award in the amount of $2,500. The Foundation for Neonatal Research and Education provides a scholarship fund for individuals seeking to study Clinical Nursing in the neonatal profession. The applicant should want to dedicate themselves to research in the industry. The Foundation awards several scholarships to clinical nursing candidates at various stages of their academic studies. The recipient should be professionally active within the neonatal nursing field. Applicants who have received the award within the past 5 years may not apply. The deadline for the award is May 1 annually. Scholarships for Master’s and Doctoral candidates, as well as nurse practitioner and nurse manager, are available. The award amount is $1,500 per recipient. The Health Professions Education Foundation provides nurses pursuing their graduate studies with scholarship funding. Kaiser Permanente is a sponsor of this award. The goal of the program is to increase the number of trained and qualified nursing professionals. Recipients of the award are encouraged to practice nursing within an under-served community in California. Students interested in the fields of medical imaging, physical therapy, respiratory care, occupational therapy, social work, respiratory care, ultrasound technician, medical laboratory technologist, pharmacy technician, surgical technician, and diagnostic medical sonography are given preference. Recipients of the scholarship award would be expected to fulfill an obligation of one year or 100-150 hours of volunteer service. The deadline for submitting the application is September 1 annually. The minimum Grade Point Average requirement is a 2.0. The scholarship award is $4,500 per recipient. The Health Resources and Services Administration provides funding for Native Hawaiians who are interested in serving the Hawaiian population within the State of Hawaii. Recipients of the award are required to serve Native Hawaiians for a minimum of two years before pursuing other employment. To become eligible for the scholarship, the applicant must be enrolled full-time in a health profession program. Applicants cannot have any prior obligations that may conflict with the requirements of the program. The applicant must also be free from any federal judgment liens. Scholarship recipients can expect to receive $104,000 over the duration of the award. The deadline to apply for the award is April 15 annually. The minimum GPA requirement is 3.0. The Inova Nursing Career Scholarship Program is sponsored by the Inova Health Systems. Inova nurses who are pursuing an advanced degree are eligible for this particular scholarship. The scholarships awarded are full scholarships and should cover the entire cost of the program. Nurses pursuing this program will be required to give a 2-year commitment to the Inova Health system upon graduation. The award amount will be $5,000 annually. The deadline for application submission is May 31 annually. Applicants should have a minimum of a 3.0 Grade Point Average. Nurses pursuing graduate work should continue to research to find additional scholarship opportunities. This list is not exhaustive. I need your scolarship for i have to do my best for the needys as it makes me more skillful & kowledgeable. Hi! Am a graduate nurse in Nigeria & wish to have my masters degree progm in your institution. How can you help me financialy (schorlarship)? Do you have Nursing attorney? Am a young lady from Ghana West Africa. i got admission to one of the nursing schools in Ghana. Is there a way i can get scholarship to complete my course here in Ghana. I am un ethiopian nurse graguated in degree from a university. i have GPA of 3.76. i need to study masters in the same field in your organisation.you will get satisfaction of helping me. HI, I’m Giang. I’m from Vietnam. I’m a graduated nurse. I’ve been working for traumatic hospital. I would like to find out a master scholarship in this field from anywhere as: US, AUS, UK, CANADA,…. Hi! Do you grant scholarships for foreigners who wants to have a Masters Degree in nursing? Thank you! I am us citizen wo has payed for three children to go to college because I have nevr qualified for fiancial aid because I actually work. Two of my children are in master’s degree programs and one is an undergraduate. I am starting a masters program in nursinf education. I work full time will be going to schoool full time, nneed help fiancial. Have worked in nursing for 35yr. Hi. I recently finished my BSN now starting my MSNFNP. I have always worked full time and went to school. I will need to do this also for my MSNFNP program. I am the breadwinner in my family and can’t afford to work part time. I have loans from my BSN and will have more coming. Please help in any way. Thanks. I have been an RN for 15yrs. 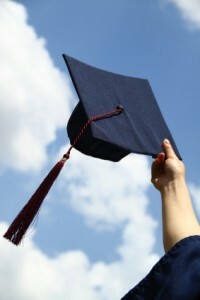 I am graduated in Bsc Nurse with cGPA 3.35 from Ethiopian University.Currentely I am working in Health center.I would like have a Masters degree in Medical surgical or in Child health.So I am very happy if your organization allows me in free of charge for this further education.Thank you. Am a young lady from Ghana West Africa. I want to know if i can apply for your scholarship program here in Ghana.